Everything you need to get branches, brush, trees, vines, etc. out of your way. If you want to clear a shooting lane with some good sized trees in it, use the compact folding saw. 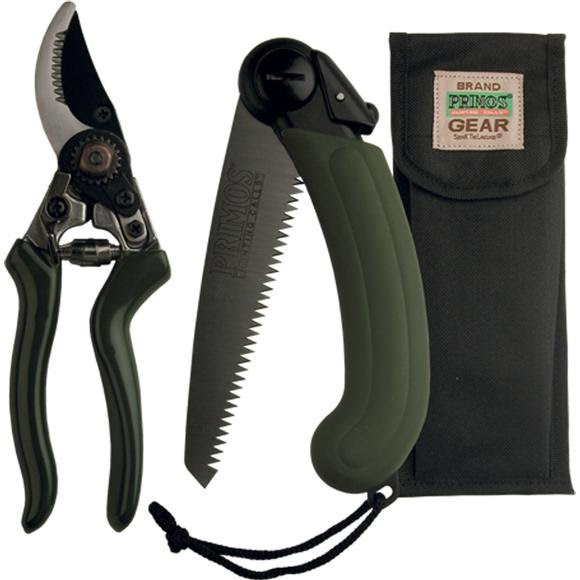 If you need to be quiet and get some limbs out of your way, use the By-Pass Pruner. Either way, Primos has you covered with the Cut Back Pak. Quality gear that will last for years.